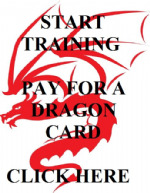 For Martial Arts- Not For Profit: The Harrow Martial Arts Centre is a Not For Profit Ltd Company. Our aim is not to make money, but to teach martial arts, and many Masters teach for free in the Centre. Of course, we still have bills to pay, but you'll find that because we are non-profit making our charges are some of the best around. Because of our aims, the Centre has produced a host of top quality black belts, and many have achieved great success in National and International competitions.Many of the masters give their time freely to teach in the Centre. Like schools, every student in the Centre is in a house, headed by one of the Masters in the Centre: This promotes ‘friendly competition’ in the Centre, with the emphasis on both ‘friendly’ and ‘competition’. Each student belongs to the house of their current teacher. House competitions, of one form or another are held termly and are free to members of the Centre.